FRIDAY, Dec. 7, 2018 (HealthDay News) -- Nine more people have been sickened by E. coli in an outbreak involving romaine lettuce grown in parts of California, bringing the total to 52 people in 15 states, U.S. health officials reported Thursday. Nineteen people have been hospitalized, including two who developed a type of kidney failure called hemolytic uremic syndrome. No deaths have been reported, the U.S. Centers for Disease Control and Prevention said. For lettuce lovers, the advice from the U.S. Food and Drug Administration remains the same: Be sure to check the label on any romaine lettuce, to avoid the risk of E. coli. Romaine lettuce sold in stores now carries labels listing the region where the produce was grown, along with its harvest date, the FDA said. By checking these labels, consumers can quickly determine that the produce is safe to eat. "Romaine lettuce that was harvested outside of the Central Coast growing regions of northern and central California does not appear to be related to the current outbreak," FDA Commissioner Dr. Scott Gottlieb said recently. That would include romaine farmed in Arizona, Florida and Mexico, as well as California's Imperial Valley -- lettuce harvested from these areas is OK to eat. "Hydroponically- and greenhouse-grown romaine also does not appear to be related to the current outbreak," Gottlieb added. "There is no recommendation for consumers or retailers to avoid using romaine harvested from these sources." 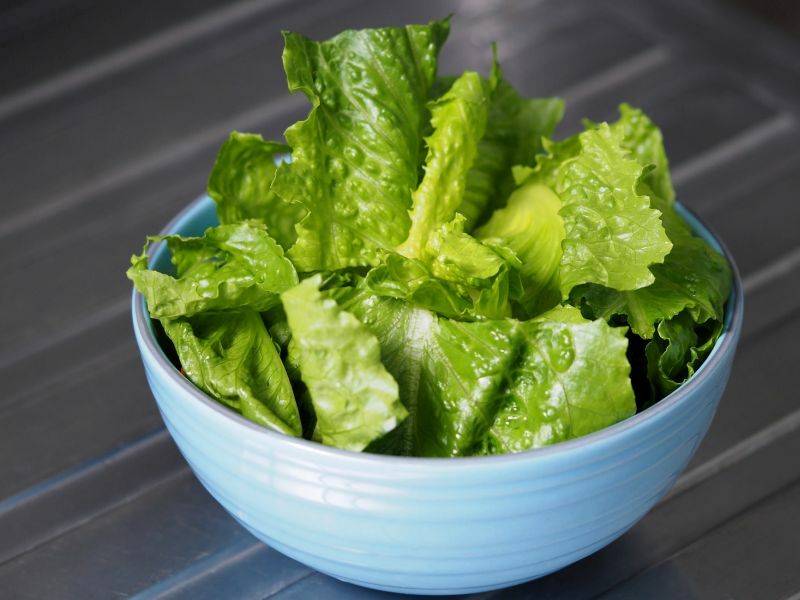 Information from four restaurants in three different states so far has implicated 10 different distributors, 12 different growers and 11 different farms as potential sources of tainted lettuce, the FDA said Thursday. At this point, the outbreak cannot be explained by a single farm, grower, harvester or distributor, the agency noted. Such labeling may become standard going forward, according to an agreement between the FDA and the leafy greens industry, the agency has said. In addition, at least 27 cases of E. coli have been reported in Canada. "Through laboratory studies we have identified that the E. coli O157:H7 strain causing the outbreak is similar to one that produced an outbreak of E. coli O157:H7 in the fall of 2017 that also occurred in the U.S. and Canada, which was associated with consumption of leafy greens in the U.S. and specifically romaine lettuce in Canada," Gottlieb said.